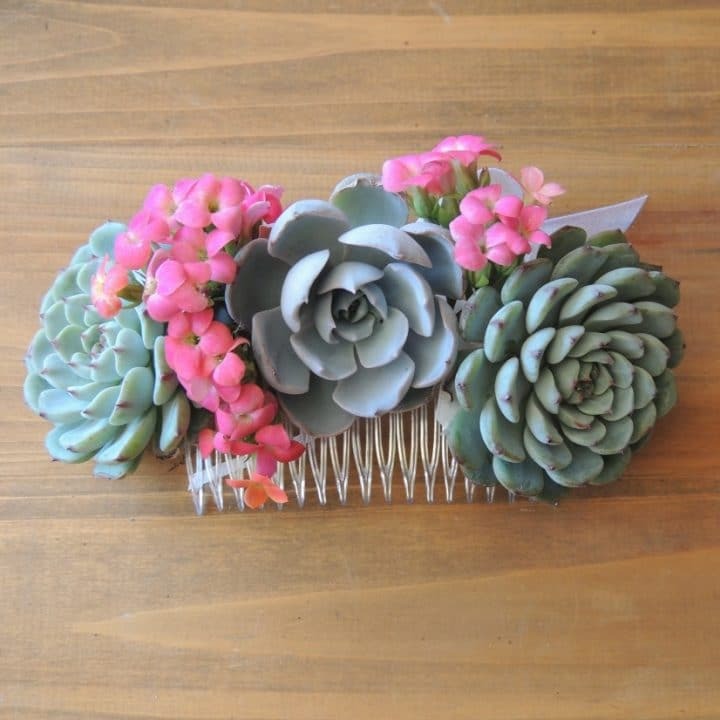 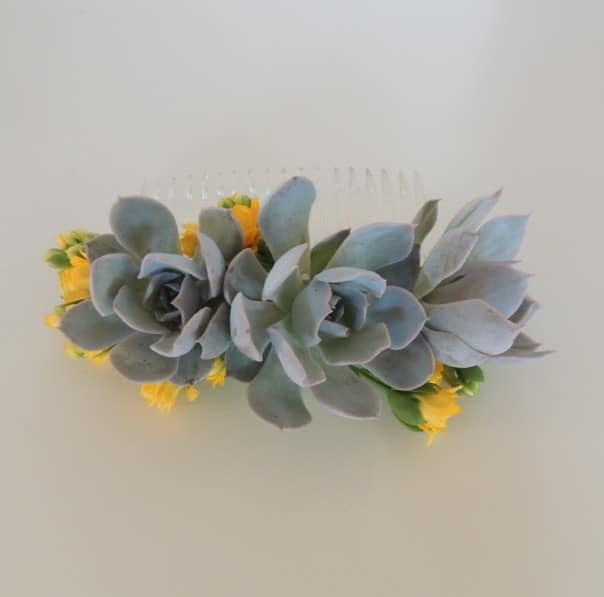 This succulent hair comb measures 4.5 inches long. 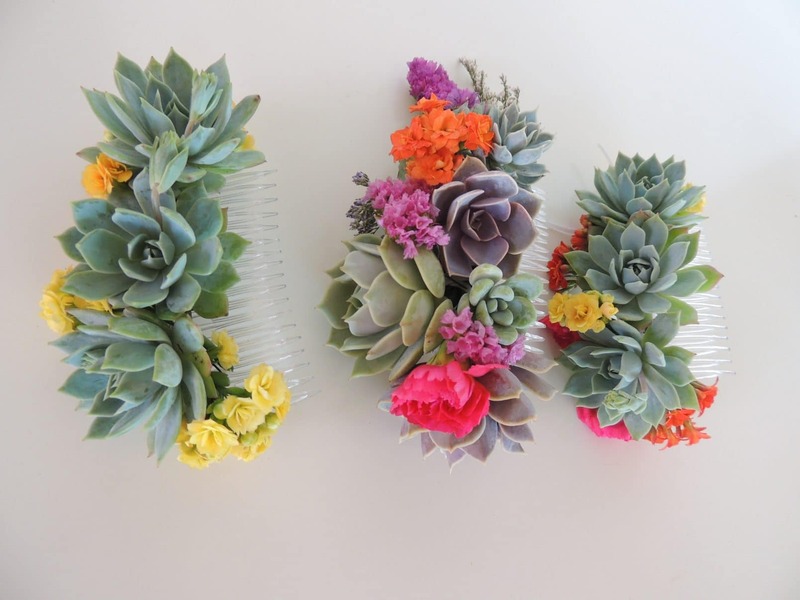 It may be created with blue, purple or green succulents and pink or white blooms or any other colors. 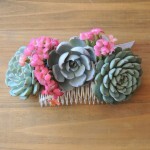 Medium size succulent comb.The comb measures 3.25" across and the succulent is approximately 1.75" diameter. 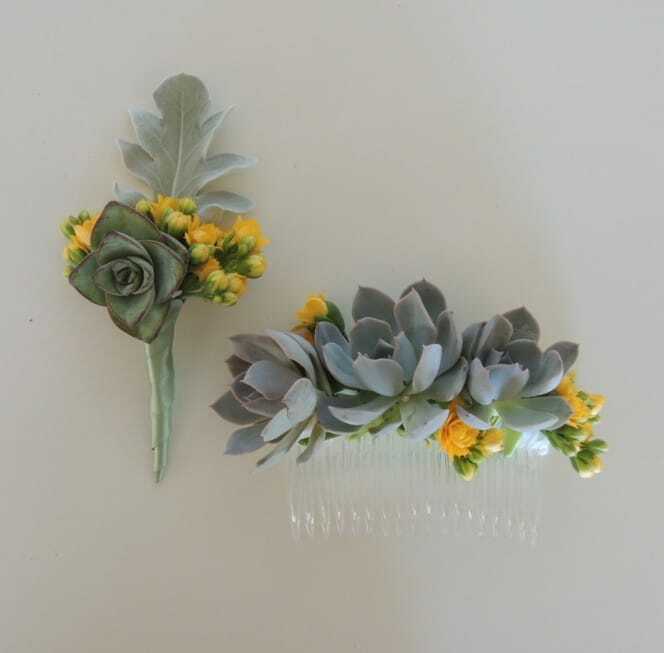 One hair comb with a single succulent with purple accents. 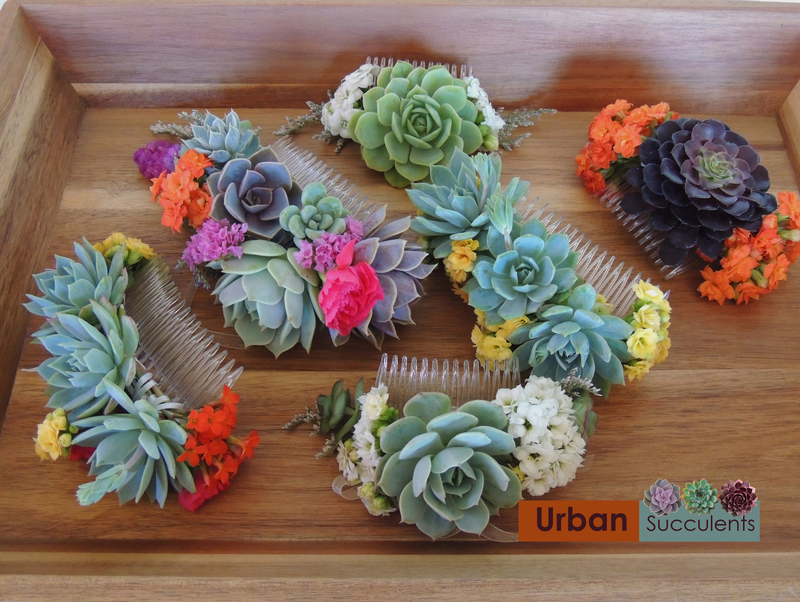 Three small sitting for cake decorating.